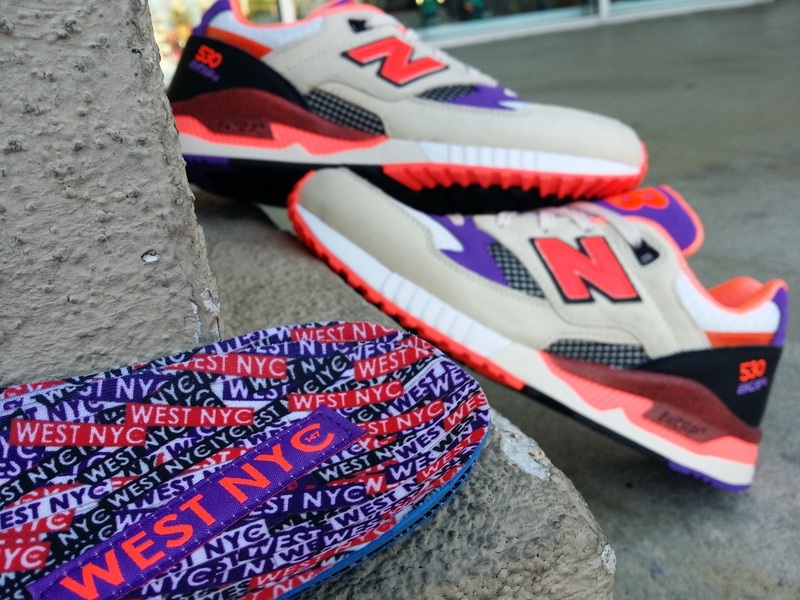 West NYC sneaker boutique continues to amaize collector's with the next collaboration installment with New Balance. This time NB company opens the Vault and re-launches a classic innovator model 530, Original released back in the 1990's it will hit shelves again with the same loved features that made itself and New Balance a prime company to head for Runner comfort. Taking it back to it's original roots, and bring the retro back to life, now everyone can enjoy, remember, and go back in time. Let check this shoes out a little closer and admire what the 90's designed for us all. 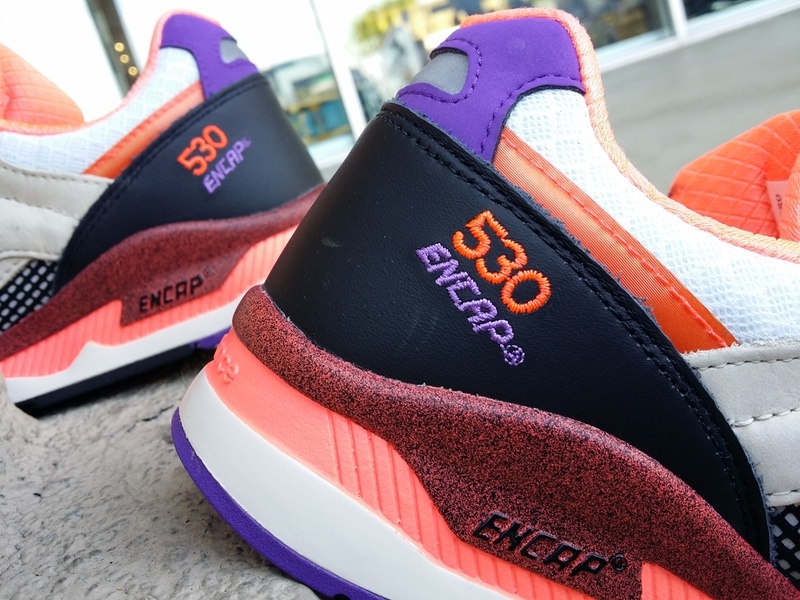 These classics will hit you with a blend of unique colors, the body will be dressed on a Sail Cream premium suede look, and contrasted with Orange Peach, Purple, Black, and hits of magenta. the toe box, as part of the tongue and back top heel will have a mesh material, to make it lightweight and breathable. 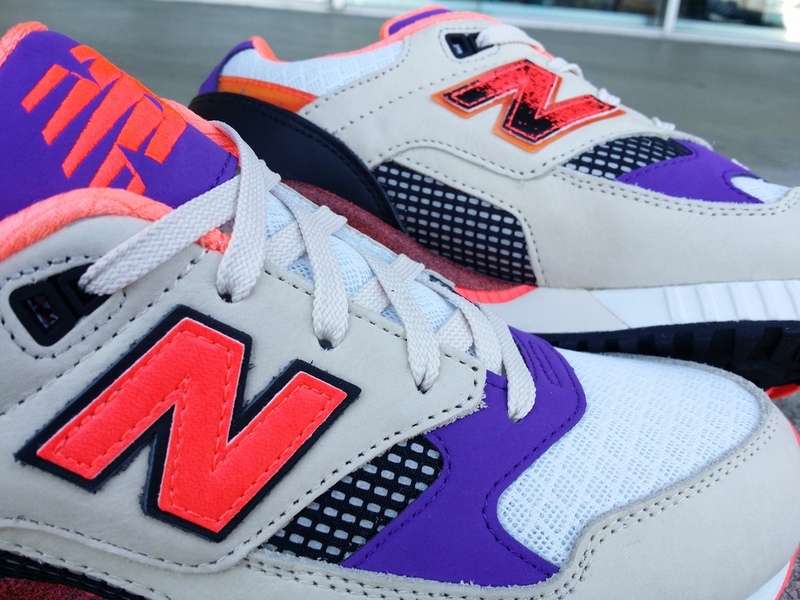 suede will be conducted by the Purple, and the N Logo will be leather on an Orange Peach, with a splatter Peach on Black on the N inner side of the shoe. another great feature may be the triple laces that comes as extra attachment to rock it on your own flavor, finishing with the main attraction those custom West NYC inner soles with a layer print of their world wide know bradding. The historic 90's kicks will be worth the wait enjoy the images, and remember to LIKE, SHARE, & COMMENT. Stay Fresh !